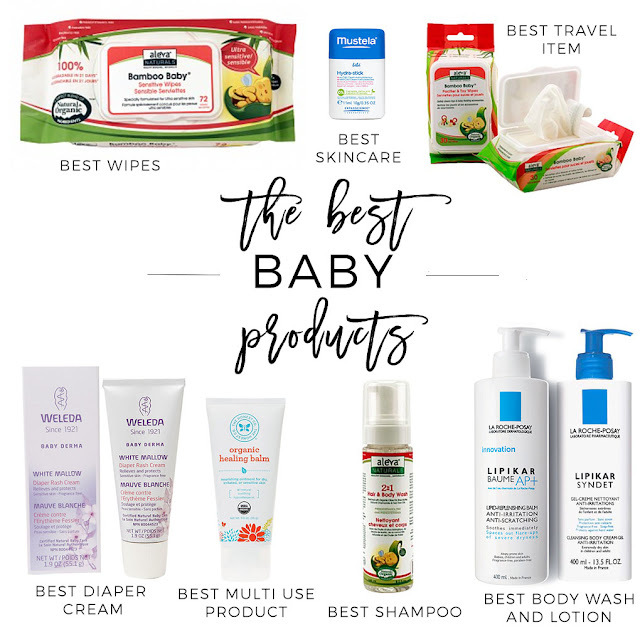 Ever since I got pregnant with my son, I started researching the best baby products to use on my tiny little newborn. Now that he is 19 months old, I have had enough time to know what works best for us and thought I would share what I consider to be some of the best baby products. Please bear in mind that my criteria for "best" include composition, sensitive skin tolerance (my son has eczema), and price. We have tried so many wipes: Seventh Generation, Honest, etc. While I liked a lot of them, these have been my favorite since my son was born. They are thin yet clean very well and do not leave a greasy film on my son's bum. My son has sensitive, eczema prone skin and applying moisturizer on his face can be a challenge. This little stick is a life saver. Those little wipes are so incredibly convenient, and with mostly natural and organic ingredients, I don't feel guilty about using them on my son's sensitive cheeks or on a teething toy. This is the best diaper cream we've used. It does not have any fragrance and the tube is hygienic and easy to use. We also love the Burt's Bees Diaper cream but the tube is so inconvenient! We did not use Vaseline but sometimes a thick moisturizer was necessary to create a barrier on my son's skin. This worked perfectly and can be used for virtually anything. We use this as a shampoo. It is gentle, natural and smells so good without synthetic fragrance. The only downside is that this formulation is not tear-free. With my son's hyper sensitive skin, fragrance-free products are a must and these two are gentle enough, moisturizing, and come in big bottles.